In late May, Deadline reported that Tom Holland would star in the upcoming Uncharted movie. This would be a prequel of sorts, with Tom Holland starring as a young Nathan Drake. Speaking with JOE.ie in a video interview ahead of Spider-Man Homecoming’s theatrical debut, the actor mainly known for portraying Spider-Man in the latest cinematic reboot revealed to be very passionate about this project; that said, he also clarified that it’s still just a conversation rather than a done deal. The idea is to make an origin story for Nathan Drake, something we haven’t really seen since the games take place later in his life, but at the moment this is just a conversation. I sat down with Tom Rothman and we sort of came up with this idea, and I sat down with Shawn Levy to talk about this idea, and believe me, this is something I’m very passionate about, that I would love to do, but it just depends if it’s going to work out. The Uncharted movie project had a troubled development phase, to say the least. Originally, David O’Russell was picked to direct the film with Mark Wahlberg, Robert De Niro and Joe Pesci all featured in the cast. All of these left early, though, and Neil Berger was hired to replace O’Russell, but quickly dropped out of the project, too. Meanwhile, Seth Rogen and Evan Goldberg were asked by Sony to write the screenplay but declined since they felt it would inevitably be too similar to Indiana Jones. Seth Gordon was then hired to direct the Uncharted movie based on a screenplay by David Guggenheim, but this effort also failed as Gordon left due to “creative differences”. The latest version of the Uncharted movie project is based on a screenplay written by Joe Carnahan (The Grey, Stretch, X-Force), who finished the script earlier this year, while the film will be directed by Shawn Levy (Executive Producer of Stranger Things). 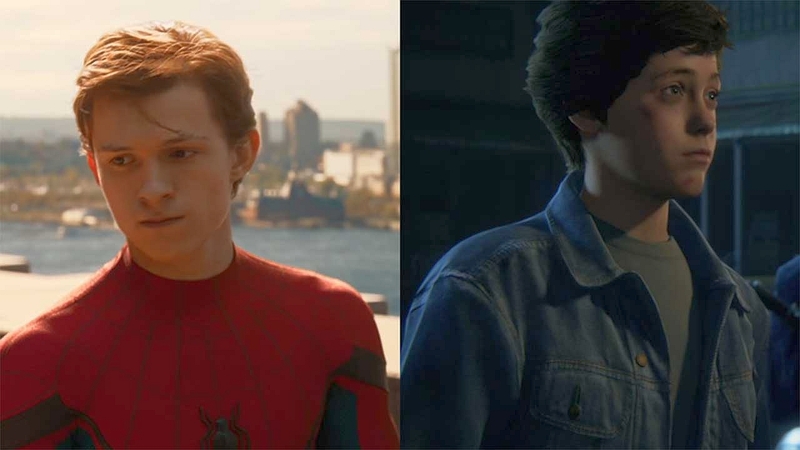 Would you like to see Tom Holland as a young Nathan Drake? Let us know below.